April 16, 2011 is a night Andre Berto would like to forget. The 27-year-old former WBC welterweight champion stepped into the ring in Connecticut undefeated with the world at his fingertips. Looking to add to an already impressive resume, which included a 27-0 record, an Olympic appearance, and a world title, Berto faced a man looking for career redemption in Victor Ortiz. From the outset, Ortiz came in and showed he was a changed man from two years prior when he quit against Marcos Maidana. Berto, maybe underestimating Ortiz a bit, seemed surprised by the punching power of his opponent. Ortiz knocked the champion down and Berto immediately knew he was in for a fight. Berto fought back, knocking Ortiz down in round two, but Ortiz controlled most of the action on his way to a unanimous decision victory, dethroning the up-and-coming superstar champion. It was a fight of the year candidate for sure. 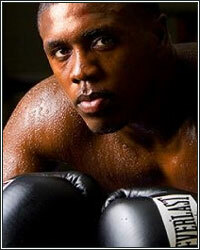 Berto made no excuses for his performance that night, but his promoter, Lou DiBella, knew something was off that night. "It was a very rough night for Berto. He hasn't been used to losing ever and he wasn't himself," said DiBella. While some fighters would take some time off and then take a tune-up fight in their comeback, Berto wanted more. After he lost his WBC title, Berto told DiBella he wanted another shot at a title. While a rematch with Ortiz went out the window for the immediate future (Ortiz is fighting Floyd Mayweather September 17th), DiBella did get Berto his title shot. Enter IBF welterweight champion, Jan Zaveck (31-1 18 KO's). The 35-year-old Slovenian is a relative unknown in the United States, but is a tough customer and someone Berto will have to use all of his skills against to defeat. "I have to think this comeback fight is very important for Andre's career and self-confidence. He's fighting a guy who is a world champ and high quality. Obviously Berto would want to look at Mayweather, or if he can't get Maywaether, he could fight Ortiz again. Say what you will, but fighters love titles. Truth of the matter is everyone cares about titles. Promoters, TV networks, everyone," continued DiBella. With a win Saturday night, Berto can get his career back on track and put himself in position for another big payday. HBO put big money behind Andre Berto, but it hasn't translated into ratings success or super-stardom. Although he lost to Ortiz, fans saw an entertaining side of the former Olympian they had yet to see. Another entertaining performance, combined with a spectacular victory over Zaveck, could put Berto right back on the track HBO initially laid out for him. Email questions or comments to dkassel@fighthype.com, follow The Boxing Observer on Twitter @BoxingObserver, "Like" The Boxing Observer on Facebook, and follow my personal blog at http://boxingobservers.blogspot.com.